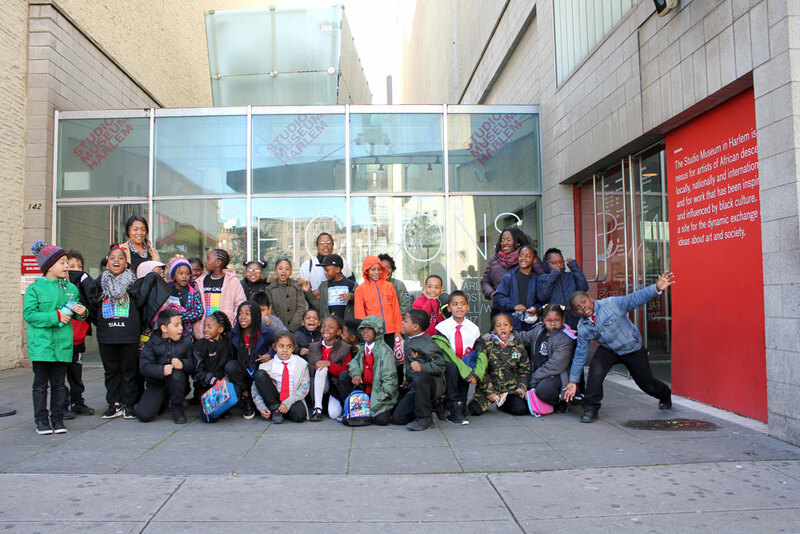 School's out, but The Studio Museum in Harlem continues to educate and inspire all year long! 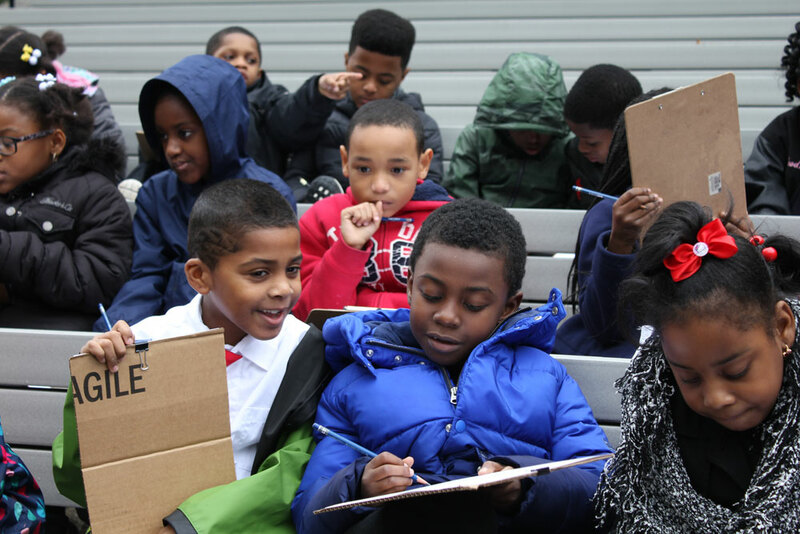 Jennifer Harley, School and Educator Programs Coordinator, reflects on the Museum's school partnerships and the importance of building community with Harlem's youth. Students from Thurgood Marshall Academy Lower School beginning their walking tour at the Studio Museum. The Studio Museum in Harlem has a long history of school partnerships. These in-depth, multi-session programs are created in collaboration between the Museum, schools, and community organizations throughout the city. We work with educators of all disciplines, school administrators, parents, artists, and the surrounding community—each partnership is tailored to the specific needs of the school or community organization and designed to build creative experiences that connect art and artists of African descent to school curricula, community needs, and Harlem. School partnerships offer young people the opportunity to engage with living artists in their classrooms and youth-focused organizations through work with teaching artists. By transforming classrooms into art studios, students learn about artists in our permanent collection and are empowered to think critically and creatively about the world around them as they create their own artwork. These relationships with the surrounding community have always been central to the mission of the Studio Museum and continue to grow and deepen through inHarlem. Thurgood Marshall Academy Lower School, located on 151st Street, is one of our longest-running school partners, as we have worked with teachers throughout the school for over nine years. This past school year, we continued our partnership with the school’s two first-grade and two secondgrade classrooms. With the second-grade classrooms, we focused on one of their main units of study, “Community.” Every class at the school is named after a Harlem landmark that the students learn about throughout the year, so we were excited to kick off our partnership with a walking tour of Harlem, with site visits to their classroom namesakes, Marcus Garvey Park and the National Black Theatre. The walking tour started at the Studio Museum with a conversation around the relationship between the words “Me, We” featured in Glenn Ligon’s installation, Give Us a Poem (Palindrome #2), in the Museum Atrium. 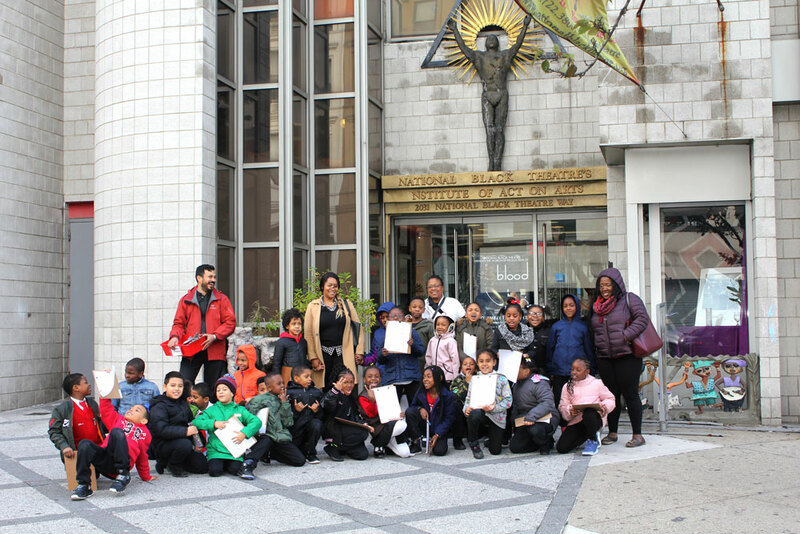 The students then left the Museum and walked east on 125th Street, past construction sites and the new Whole Foods on the corner of Malcolm X Boulevard, and then continued down 124th Street to Marcus Garvey Park. As the sun came out, students took a moment to reflect on community through drawing and poetry in the park’s Richard Rodgers Amphitheater. The walk continued to National Black Theatre, where we learned about the history of the theater and the block, and got to peek in on a rehearsal, before we headed back to the Studio Museum. 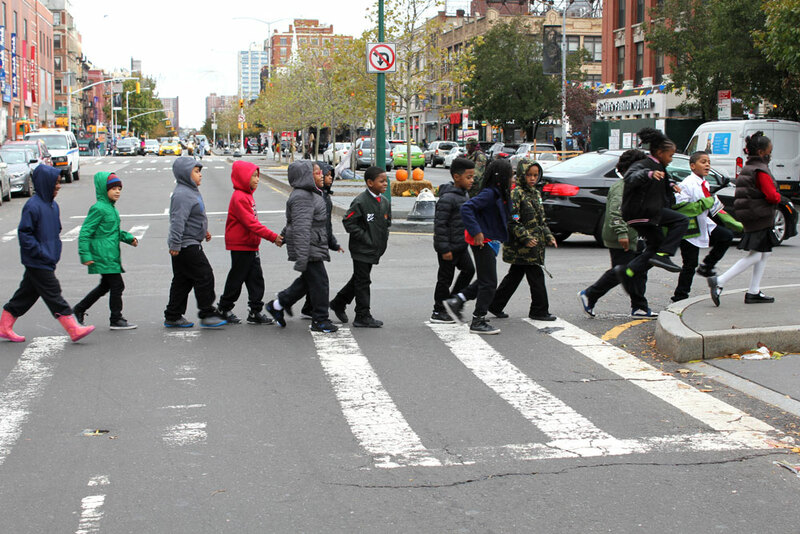 It was exciting to see students exploring and discovering new things in Harlem, the neighborhood where they live and attend school every day. Students are enthusiastic to continue their partnership this spring and to explore painting and photography as they create their own artwork inspired by Harlem. The classes will focus on artworks from the Studio Museum permanent collection by Lynette Yiadom-Boakye and Jordan Casteel. The students are looking forward to Casteel’s visit to their classes. 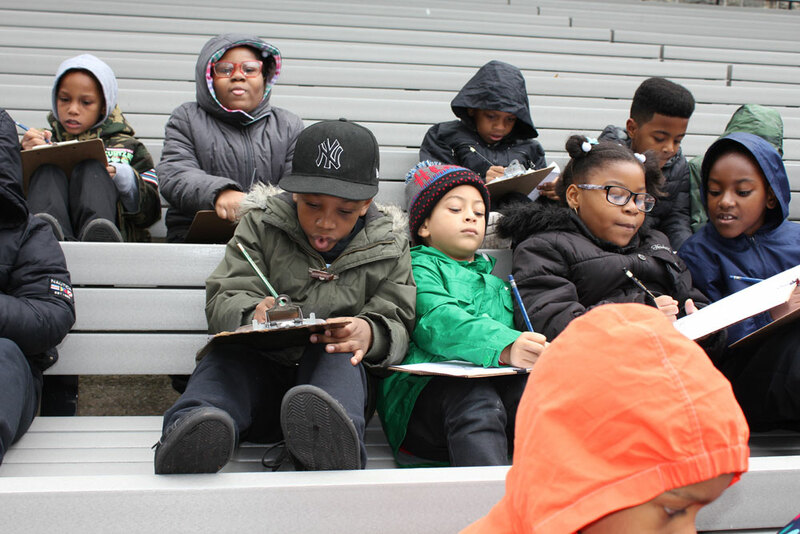 Across all of our inHarlem school partnerships we are excited to continue exploring public artworks, exhibitions at our inHarlem partner sites, art in our permanent collection, and Harlem as we continue to collaborate with schools and community organizations. Find more information on our school partnerships and work with educators here.